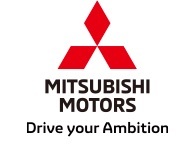 TOKYO, Feb, 28 2019 - (JCN Newswire) - Mitsubishi Motors Corporation (MMC) announced that Mitsubishi Motors Krama Yudha Sales Indonesia (MMKSI), authorized distributor of passenger car and light commercial vehicle with MMC in Indonesia, and Garuda Indonesia announced the corporate brand partnership. A unit of Garuda Indonesia's Livery aircraft will apply decals of the Mitsubishi XPANDER on the aircraft. 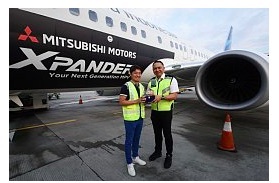 Decal branding of XPANDER mounted on Garuda Indonesia's Boeing 737 800 NG aircraft started from February 20, 2019. It was used to transport MMKSI management and Mitsubishi dealers from Jakarta to Denpasar for the annual dealer convention meeting. Both Mitsubishi Motors and Garuda Indonesia shared similarities of traits and characteristics through XPANDER: each company carries a dream transportation option, offering prestige, comfort, features and the best service but still affordable by the consumers. "We are very proud to see XPANDER appeared on the Garuda Indonesia aircraft, as Garuda Indonesia is the representative airline in the country. We will continue to make efforts to improve our products to be further accepted by customers in Indonesia," said Naoya Nakamura, president director of MMKSI. Last year, Mitsubishi Motors concluded the largest fleet sales - 401 units of XPANDER variant GLS MT with decal branding used as operational cars and official transportation units to shuttle Garuda Indonesia crew members. Both companies are now studying the possibility of further cooperation to support the business process and economic development in Indonesia. "The Livery Project between Garuda Indonesia and Mitsubishi Motors is the first joint partnership involving an automotive product, which made Mitsubishi Motors the pioneer to promote their products in such a unique way," said Ari Askhara, president director of Garuda Indonesia. 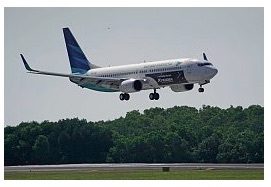 "Garuda Indonesia has been using XPANDER as operational cars and official transportation units to shuttle crew members. As we found more similarities between two companies, we increase more joint efforts with Mitsubishi Motors, including addition to our fleet and other branding programs. 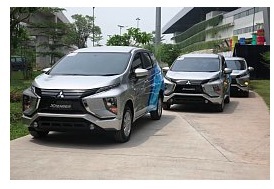 Garuda Indonesia is highly selective in choosing cooperation partners, and Mitsubishi Motors has brought mutual benefits from the business aspect and brand image." Mitsubishi XPANDER is a small MPV launched in August 2017, and received very good acceptance by Indonesian market with a market share of more than 44% in small MPV 1,500 cc segment.